In roulette, as with many other endeavours, players have tried for years to get ahead of the game with various different tips and tricks. As you can probably expect, some of these have been shown to provide little advantage, however there are certain strategies which can benefit any Canadian roulette player from beginner to expert. One mistake often made by players when they start playing roulette is putting all their eggs in one basket. This can work in a one-off scenario, but a lot of the time this will lead you to make more and more ambitious bets to chase your losses, and this is not something any Canadian roulette player wants to be doing. For many, the most important piece of strategic advice is to always bet within your bankroll. That way your money will last longer when you have an unlucky streak, and you'll still be able to enjoy the winnings when luck is on your side. Always remember that you don't just have to bet on one number or one section each time. Combining inside bets and outside bets can be a good route to helping your money go further, as even if your single-number or corner bets miss, you can get your money back with a successful selection of red or black. Some players also like to bet on a series of numbers which are near each other on the roulette wheel itself (rather than on the table). This can help minimise the frustration associated with seeing the ball creep over from your chosen number on to the very next one on the wheel. One supposed strategy which many a roulette player has heard of, or perhaps even tried out themselves, is called the 'Martingale' strategy. This involves following a losing even-money bet by placing your next bet for twice that amount, and halving the amount after a win. Bet 50 cents on red. If the ball lands on black your next bet should be for $1. If the $1 bet fails, make the next one $2, and so on. If the $2 bet comes in, you will have lost $1.50 on the first two bets but gained $2 (plus your stake back) on the third, resulting in an overall profit. While the Martingale system seems sensible, it does not account for bad luck outrunning a player's bankroll. It is not beyond the realms of possibility for the bets to keep doubling to the point that you lose all the money you brought to the table before you have hit on the bet you needed to lock down a profit. While online roulette can be fun, it becomes even more fun when you are winning. With that in mind, smart online roulette players will recognise which versions of the game offer the best odds for the player against the house. Most bricks and mortar casinos in Canada will only offer American Roulette, which has a wheel with the numbers 1-36, zero and double-zero. 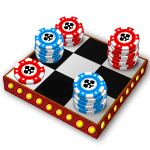 However, online casinos will also offer versions such as European Roulette and French Roulette which have just one zero. In these variants the house edge is smaller, so players should theoretically get a better return on their investment in the long run. It still helps to ally this with a solid strategy, of course, as sometimes there's no answer to randomness. It's usually best to prepare yourself for the fact that sometimes bad runs of luck will happen, and not get too emotionally invested. If a certain strategy is working for you, it can pay to just stick to your strategy and ride out the bad luck. That way your overall experience can be more enjoyable, and ultimately more profitable.